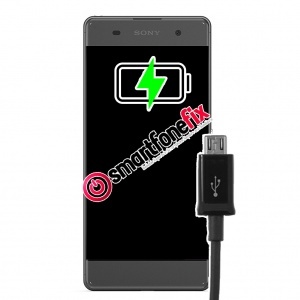 Has your Sony Xperia XZ stopped charging? Is the micro USB loose or failing to detect the charger sometimes? Using this postal repair service, we will fix your broken or damaged micro USB port inside the phone with genuine manufacturer parts. This is the internal charging socket which the cable plugs into. The repair is also covered by our 1 year warranty for complete customer satisfaction. Turnaround is extremely fast! Most repairs are carried out on the same day the device arrives at our shop and they are usually ready for postage back to you on the next morning! All repairs are posted back 1st class recorded and fully tracked. Special delivery is also available at the checkout which is a next day delivery service throughout the UK and insured up to £500. At SmartfoneFix we hire the best technicians around who are qualified and have over 20 years experience in the mobile phone repairing industry. We DO NOT wipe your phone so all of your data and information will remain as it is. This price is fixed and also an all inclusive price meaning it covers the cost of the parts, handling, fitting, testing, return delivery and 1 year warranty. Once purchasing this repair service, you will receive an automatic confirmation email which will contain the postal instructions to get your device to us. As soon as your device arrives at our workshop we will notify you by email that it has arrived. A senior repairs technician will be assigned to your device who will test it and ensure the fault has been rectified. Once the repair is complete, we will email you again to keep you informed. Finally when the device is ready for dispatch (usually the same day we receive it) you will be notified again with a tracking number so you can arrange for its return. This is a very simple and straight forward repair service and the process is seamless. Your device will arrive back with you within a few days from posting it. Once you receive the device back fully repaired, it comes with a 1 year warranty and we strongly advise you to write a review on the whole process and experience. Our aim is to exceed your expectations so that you can spread positivity about our streamline business processes. If you have any questions or if you would like more information about the repairs process, simply click here and fill out the form with your enquiry. We have specialist in house engineers and technicians who have a very high success rate in repairing devices. However in the unlikely event that your device cannot be repaired, due to the extent of damage or it is deemed beyond economic repair, we will post your device back to you and issue a full refund of your payment minus the return postage cost. If the device can be repaired but needs more parts to do the job, our engineers will call you first to explain this before any work is carried out. Why choose smartfonefix.co.uk to fix your broken smartphone? We are a trusted name in the electronic repair industry. We are a more affordable repair solution than other online repair centres and high street shops. We repair your device on the same day it arrives at our workshop, meaning an unbelievably fast turnaround. We have technicians with over 30 years of experience in the mobile phone and smartphone repair industry. We use genuine manufacturer parts when repairing your smartphone. We ensure that your data and information is kept safe and not wiped to factory settings. We offer a 1 year warranty on all of our repair services if the part we have replaced fails. We offer an amazing, simple and hassle free customer service experience from start to finish.